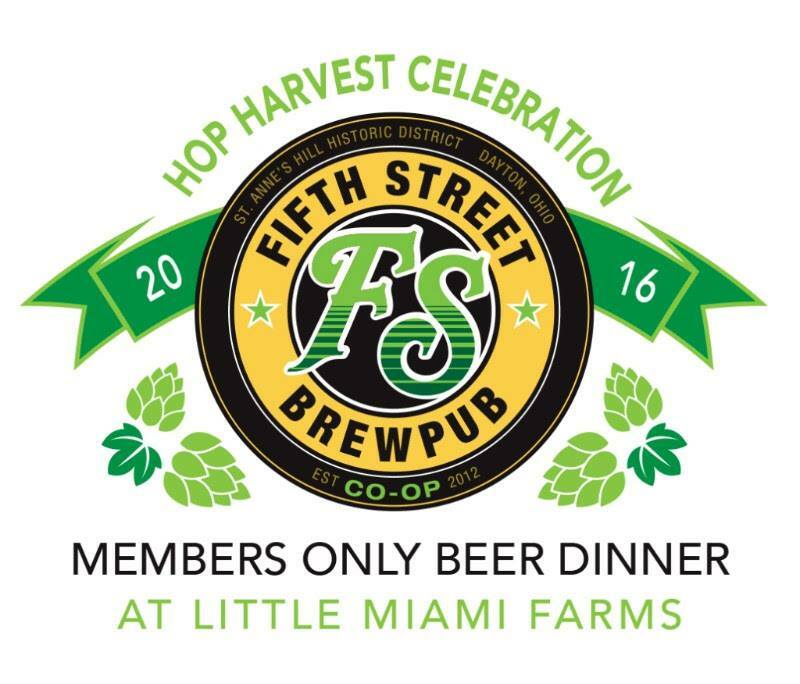 We’re excited to partner with the Fifth Street Brewpub on a 3-part Hop Harvest celebration this year. If you’re not a member yet, sign up at the Brewpub and then join us for a members-only dinner on the hops farm while the bines are at their peak. We’ll follow up with picking/brewing and tapping celebrations later in the growing season. 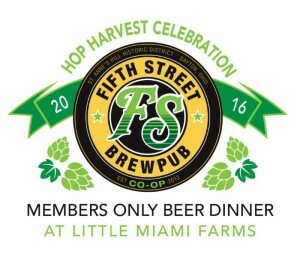 On Sunday, Aug. 6, we followed the dinner with a Hop Picking Party at Fifth Street. The fresh-picked hops were used in harvest brew the next day. Watch for a release date of the 2016 fresh-hopped ale!